Drumming for young Elliott Murphy was surely a good gig—the perks of 1970s major-label rocking being plentiful—so long as you weren’t looking for the limelight. 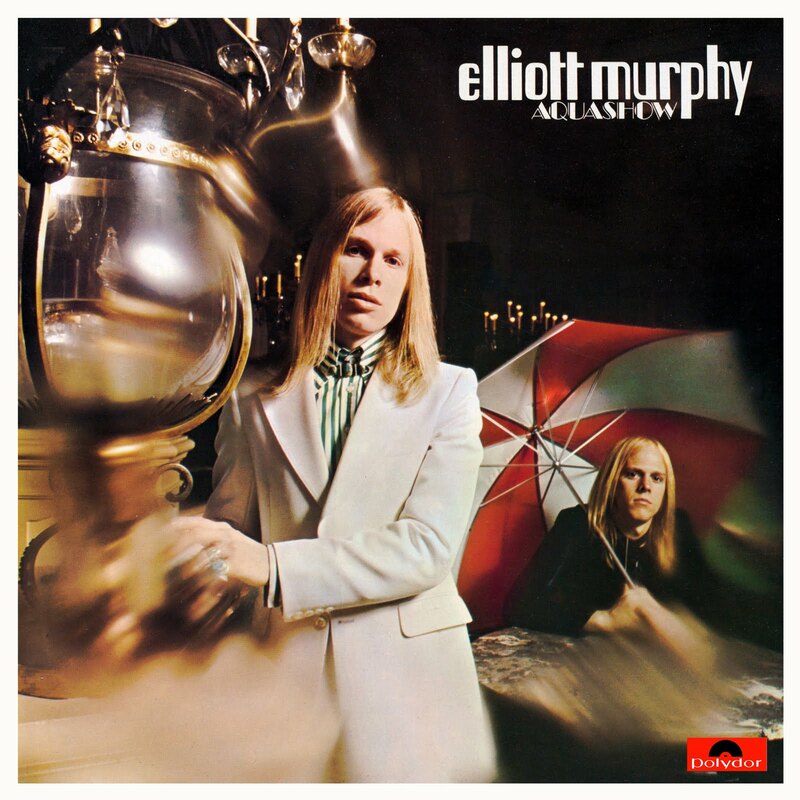 Murphy barely pauses to breathe on his debut LP, bursting out of the gate with a feverish rush of wordplay and gloriously jumbled harmonica on “Last of the Rock Stars,” and while he later slows down, he never lets up. This is what Gene Parsons was made for: just try to keep up, and hold a steady beat. It had to be more interesting than late-Byrds work, and Parsons was never showy, but he knows how to sideman. When Elliott gets excited, rush a fill; when he’s dramatic, a stately downbeat; work in some accents on the verses to keep yourself occupied, he won’t notice or care. It works perfectly. “Last of the Rock Stars” and “Hangin’ Out” are pop-rock masterpieces, and aside from a few dips into maudlinity and the excruciating ballad “Marilyn” (“she died for our sins,” natch), Aquashow is one of those great lost 70s albums, even, yes, Dylanesque at times (sneering Dylan, amphetamine-rush version). An ambling ex-Byrd truly couldn’t wish for more—aesthetically, at least; that other former Byrds drummer really stumbled into a soft-rock cash-cow with Firefall, but in the battle of cred, it’s Parsons all the way. Is there anything more awkward than a trio with four members? Poor Jim McGuinn stands at arm’s length on the cover, and gets buried in a shadow on the back, but the place he’s hidden best is on the record itself, where he holds his banjo and . . . well, doesn’t do much. He whips up a little jangle-fire on “Whup Jamboree,” but this generally staid music, Peak Whitebread Pre-Dylan Folk with songs about the temperance movement and Lizzie Borden and a super skier. 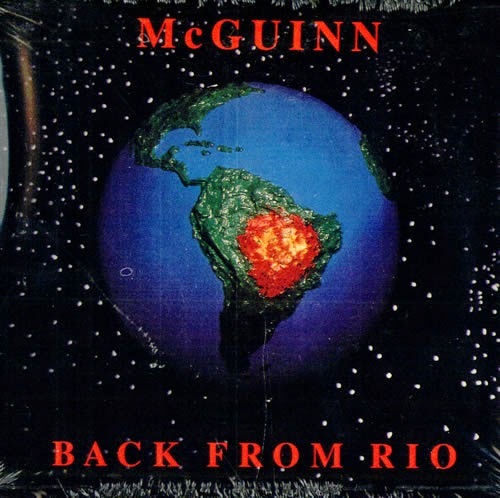 “Dona Dona Dona” is pretty, and nothing's too terribly dire, but it probably felt good for McGuinn to plug his guitar in and help lay this era to rest a few years later. It was cool to see Bob Pollard producing and writing liner notes, but then I looked closer and it was actually Bob Bollard, so, bummer there. His notes call the crowd at this live show "wild," but it's important to remember, the Sixties hadn't happened yet. “I have a dream, a great man said/another man came and shot him in the head”: such is what passes for wisdom in the lyrics of a decaying man-child. 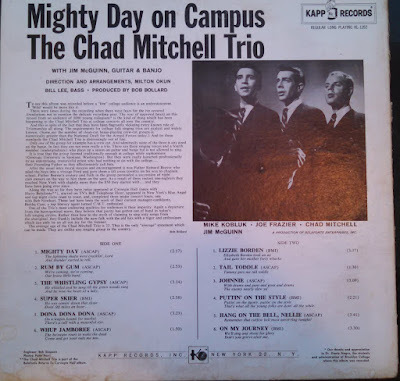 I blame this album for singlehandedly derailing my effort to get this blog back off the ground, many a month ago; I checked it out from the library, renewed it, renewed it again, and just could not bring myself to play the damn thing. Finally I uploaded it to my iPod, returned it, and forgot about the whole affair until, months later, trapped on a crowded bus crawling east across Los Angeles from Westwood to downtown at rush hour the other week, I figured life couldn’t get much worse and it was thus the perfect time to pull the trigger. 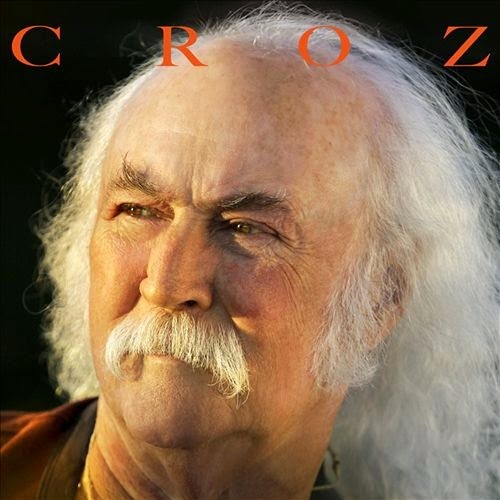 Well, Croz is not worse than it promised. It might even be the perfect soundtrack for a slow-motion death-march through Beverly Hills and West Hollywood. I’m not sure DC himself knows what decade it is, mentioning “static and hiss” on “Radio” as if he hadn’t heard about that durn digital thing. Or maybe he does know the score, but just really needed to find that challenging rhyme for the previous line’s “this.” It’s not all monosyllabic simpleton lyrics, though, as he strives for the highfalutin platitudes that have marked his work since it first began defacing Byrds tracklists; “fear is the antithesis of peace,” the Croz decrees on “Time I Have.” Man also has cranky things to say about city life. Truly, it is all mind-numbingly abysmal, dragged along by aimless guitar noodling, silly two-finger solos occasionally bending a string over plodding chord-strums (Mark Knopfler guests, but with the vim and vigor of Ghostface obliging Inspectah Deck with a guest verse, clearly saving the A-game for his own work), half-awake pseudo-jazz drumming, and bored-session-player bass (probably the most solid part). There’s an almost-okay song in the subdued acoustic wistfulness of “Holding on to Nothing,” during which DC nearly bothers to construct a melody, but otherwise everything here is bloated, pointless, stupid, and grating. At least Stephen freaking Stills has the decency to just live in the perpetual past. Greg Demos is a god of rock. Dude is old, wears tight leather pants, wipes out on the Letterman show like it ain't no thang, and throttles his bass like someone living the dream, not going through the motions (ahem, Messrs. CS&N). In my fantasy version of this album, Demos joins the three crusty old fogeys and shakes something loose, something vital and vibrant and raunchy, like the opposite of Rick Rubin ossifying geezers into statesmen, and they all bash out a bunch of garage jams like the Byrds were secretly just the Troggs with some jangle all along. Alas, this is not my fantasy LP. It is all too literal demos. 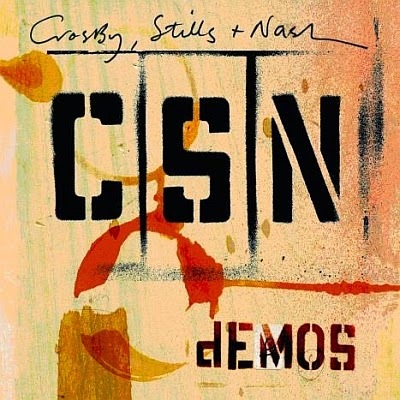 So we get these songs stripped down, back in ye olden times, shorn not only of full arrangements but even of the harmonies that were the only thing ever making CSN conceivably worthwhile. Thus we see the songwriting sinews of “Almost Cut My Hair” and “Marrakesh Express,” but anyone listening to those songs for the songwriting has a vastly different, and incomprehensibly sadder, understanding of music from me. “Love the One You’re With” had a different melody originally, that’s almost interesting to note. Otherwise, a total wash. Fewer demos, more Demos. He does. When the guitar on the second track momentarily seems to launch into “So You Wanna Be a Rock and Roll Star,” it might be a knowing wink, or it might signify the creative dead end McGuinn had been stalled at for twenty years, but the thing is, it doesn’t matter: it’s sharp and punchy, and it doesn't pause to think. In many ways this is second-tier major-label rock at its finest. Okay, not always lyrically. “Car Phone” comes about ten years late (wasn’t McGuinn himself already carrying a mobile phone on the cover of The City ten years ago? Maybe it was a walkie-talkie, but whatever—this is get-off-my-lawn music); “The Trees Are All Gone” is nearly trite enough to be a Graham Nash eco-ballad; “Your Love is a Gold Mine” takes a deeply unpromising structuring conceit, and excavates every ounce of forced metaphor it can. When Elvis Costello shows up to write some snarling music-biz swipes at a sell-out on “You Bowed Down,” it’s positively not 4th street, but maybe somewhere in the vicinity. Yet it seems a little rich being sung by the guy who’s been the Platonic embodiment of bland corporate rock since at least the early 70s. But Back from Rio hardly lives or dies by its words; they’re more like a rhythm section to hang the hooks on, and there, it delivers. McGuinn jangles. The melodies soar and crash into rousing choruses. There’s not a dud track here—and there damn well shouldn’t be, since the suits brought in ex-Byrds (Hillman and Crosby), Costello, Tom Petty and a good chunk of the Heartbreakers, Michael Penn, Dave Stewart, Jules Shear on songwriting duty, and even outlier Stan Ridgeway for a cameo. It might be akin to shooting a dying athlete full of speed for one last game, but McGuinn stays awake all the way through. Alas—and an “alas” is inevitable with a McGuinn solo LP: the track lengths. Good Christ, they drag. The first few Byrds albums often hovered around two minutes per track, and were perfect for it; here, songs lumber to their death at double that, and needlessly so. “King of the Hill” is a killer duet between McGuinn and Petty, but at 5:27 it’s practically a goddamned Soundgarden tune, running itself painfully into the ground. Did Arista pay so much for the hired help that it insisted on squeezing extra choruses out of them? I have no idea, but it’s a colossal mistake. 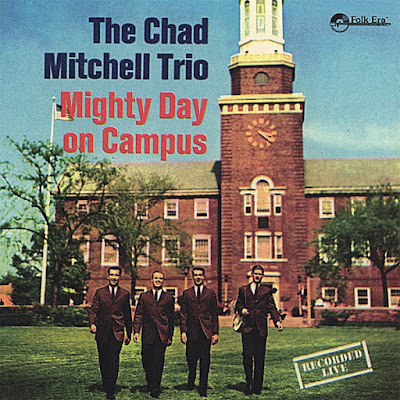 Every song here is good-to-very-good on the merits; every song here is also too long by a minimum of 30%, and the result is a plodding record that, pared down, could easily stand with the best of the non-Parsons/Clark post-Byrds albums. 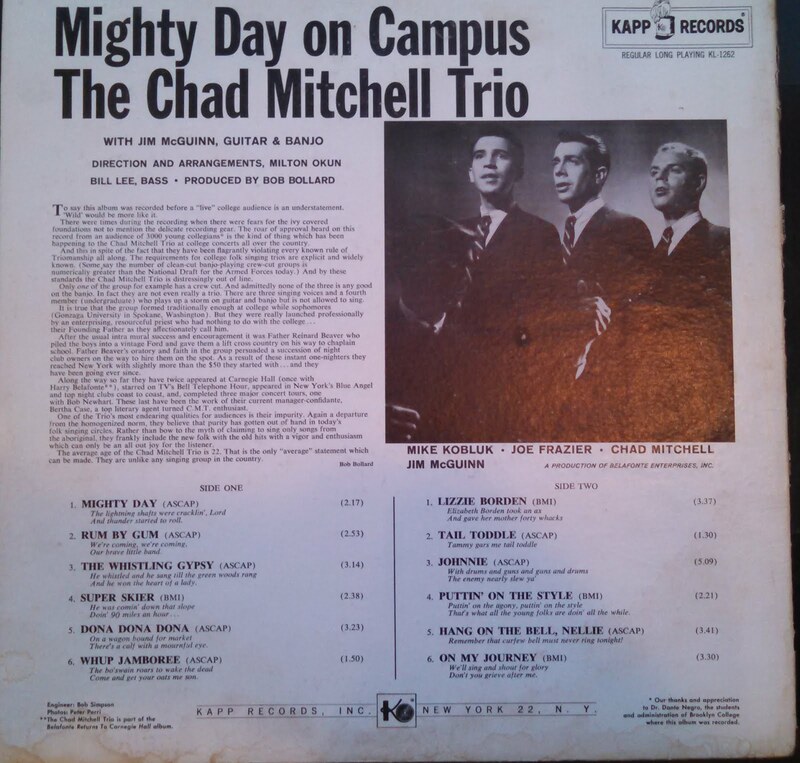 McGuinn co-wrote “The Time Has Come,” but sadly, did not sufficiently think through its implications. No question about it, I was a skeptic: the damn band put out a live record in 1970, so what’s the point of this beyond cynical label cash-grab? And probably that was the point, since what else motivates labels? But that doesn’t stop this from asserting its own identity, independent of (Untitled), and capturing the band precisely at a transitional moment. It had only been four years since they broke big, but it seemed careers ago; they’re clearly eager to move beyond the past, cramming “Turn! Turn! Turn!”, “Mr. Tambourine Man,” and “Eight Miles High” into one oldies-hit-parade medley that they blast through in a ten-minute fury (as opposed to the sprawling side-long “Eight Miles” on the 1970 record). It works—while McGuinn is rarely an impassioned singer (to his frequent detriment), he shouts himself hoarse on a “So You Want To Be a Rock’N’Roll Star” that could nearly pass as a punk band in 1978, all clanging chords and John York swooping through on bass. But the band wants to play its new material, and while the just-released Dr. Byrds and Mr. Hyde was hardly a high point, they rock “King Apathy III” as if it were, and almost convince. 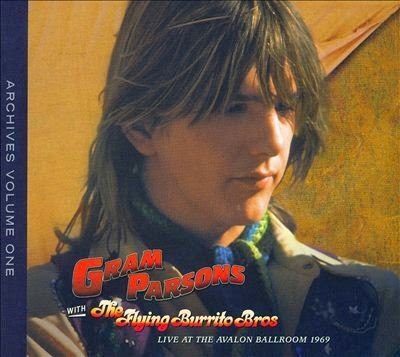 McGuinn’s vocals on the tracks that Gram Parsons would also claim separately (esp. “Sing Me Back Home” and “Close Up the Honky Tonks”) can’t help suffering in comparison, but he and the rest of the group seethe through a fantastic “This Wheel’s on Fire,” and close things out with more Dylan, a rousing “Chimes of Freedom.” Even the generally lackluster “He Was a Friend of Mine”—always one of my least-favorite Byrds songs, a treacly tread of misplaced nostalgia—comes to life. I still have no idea why both McGuinn and Parsons were so thin-skinned about being dissed by a DJ that they both kept “Drug Store Truck Drivin’ Man” in their sets, but at least it dies before the 2:30 mark. 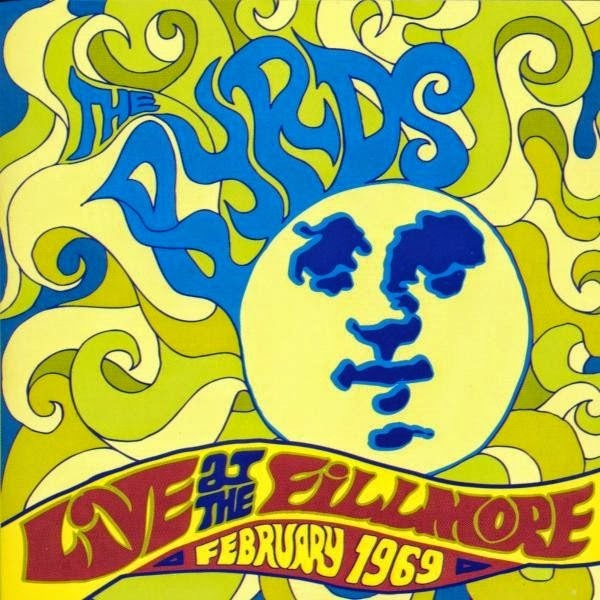 Even David Fricke’s liner notes deliver—the idea of the first Byrds show at the Fillmore, in 1966, occurring alongside a production of LeRoi Jones’ The Dutchman is just kind of astonishing—as is the fact that they were reduced to opening for some Butterfield Blues Band dudes by the point of this recording. Huh? The first impressions of this 2-disc set effectively cancel each other out: Amoeba has outdone itself with lovely packaging, full of great archival photos and two short essays, one a loving recollection of Parsons and the Burrito Bros by Pamela Des Barres, the other a nicely detailed recounting of digging through the Grateful Dead archives (for whom the FBB were opening) for these tapes, and then the desperate quest to secure rights, by Dave Prinz. But then, that title: I’m hardly here to demand a place on the marquee for Michael Clarke, but it simply misrepresents things—as the opening audio itself makes clear—to credit this to Parsons and reduce the FBB to a supporting band. For a release so committed to musical history, that’s an unfortunate concession to (admitted) market realities, and a bit of an insult to (perhaps overly sensitive) listeners. Well, there’s also music here—though mostly, nothing crucial from the two (April 4 and 6) very-similar live sets that replaces any LP versions. The real treasures are the two demos on disc 1, especially a spare, heartbreaking “Thousand Dollar Wedding.” "Nothing crucial" doesn't mean unworthy of a listen, though--learning the story of the "old boy" line from "Hot Burrito #1" while hearing it is worth a sniffle or two. I unwittingly amassed far too many Byrds-related records while scouring dollar bins, to the point that cataloging them became a useful formal exercise to bring some semblance of structure to my life. This, despite the fact that I don't particularly love the Byrds, and I absolutely despise David Crosby.